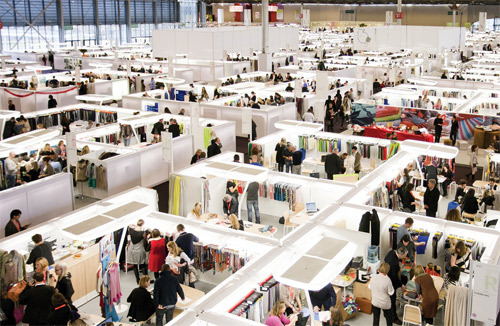 ZOOM may have a new location and layout, but the fashion manufacturing trade show is still the same in all other respects. It remains committed to offering production managers of fashion and accessories brands fresh solutions that are better suited to an increasingly fragmented and fast-changing market. The ZOOM concept is based on a handpicked selection of specialist firms that all meet our stringent standards of quality, responsiveness and flexibility, and are able to deal with the increasingly complex sourcing requirements of international buyers. These carefully selected businesses have all proved themselves capable of meeting top fashion brands’ needs for high-quality products and just-in-time delivery. 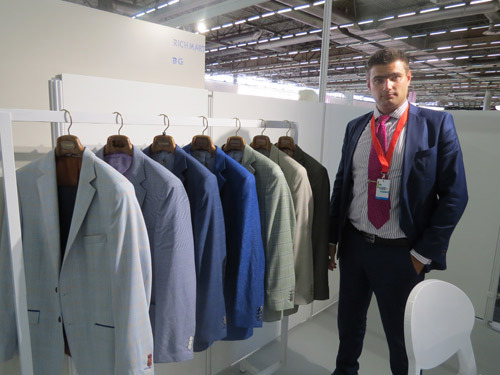 Bulgaria, which has exhibited at ZOOM since 2011, and more regularly since 2013, presents a single, tried-and-tested exhibitor: Richmart (Stand 6ZD1) is an expert in high-end suits, men's jackets, made-to-measure suits from Italian and English fabrics. On the same booth you can meet the director of the Men's Fashion cluster and also take a look at the men's suits, designed by Krisots Avraam for the Men's Style project. If you are a fashion designer you can learn more about the Men's Style project that supports designers to start their own menswear brand. Zoom celebrates the Première Vision Grand Jury prize from the Hyères International Fashion and Photography Festival: Kenta Matsushige. Zoom will be showcasing the work of Kenta Matsushige, winner of the Première Vision Grand Jury prize at the Hyères International Fashion and Photography Festival 2014. Kenta Matsushige won the coveted award at the 29th Hyères International Fashion and Photography Festival in April this year. The young Japanese designer was awarded the 2014 Première Vision Grand Jury prize by a jury headed by Kenzo creative directors Carol Lim and Humberto Leon. He graduated from the École de la Chambre Syndicale de la Couture Parisienne fashion school in 2012, and now lives and works in Paris. Kenta Matsushige’s womenswear collection, HINABI, is inspired by unexpected juxtapositions, like the artists Walter de Laria and Lee Ufanqui who exhibit their pieces in a nature setting, often on the Japanese island of Naoshima: “My collections aim to be urban and modern, whilst respecting hinabi, pastoral beauty, which is in contrast to miyabi, urban beauty”, he says. Kenta Matsushige’s creations, both architectural and poetic, have also been produced with the support of Première Vision.